Paella is one of my favorite Spanish dishes. I was fortunate enough to be invited in the grand opening of Bless Las Paellas at Vista Mall, Sta. Rosa, Laguna last October 15, 2017. It was attended by distinguished guest and media. Bless Las Paellas is a casual restaurant offering Spanish fusion cuisine with Filipino imprints. 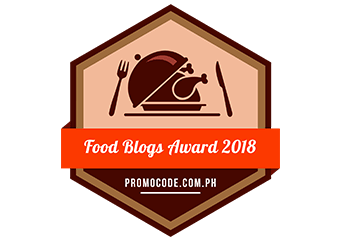 You can surely enjoy mouth-watering Spanish cuisine such as the Paella, Gambas, and Lengua, as well as Filipino favorites like Crispy Kare – Kare and Pinoy Shortribs Caldereta. The grand opening started with a mass followed by a ribbon cutting ceremony. A dance showcased by Quezon City Dance Sports Association followed and Marlo Javier showcased his collection on a much anticipated fashion show. The guests relished sumptuous paellas, churros and sangria. I’m not really fond of squid ink but I really appreciated it in Paella Negra. It’s composed of squid and red bellpepper to name a few. It’s also best paired with a glass of sangria. I’ll give this a HIT. Paella Valenciana is my favorite. It is composed of tiger prawns, eggs, clams, mussels and bell pepper. It’s very rich in flavor and and texture. I also love the consistency of the paella itself. It did not disappoint. It’s an ACE for me. Bless Las Paellas is located at Vista Mall, Tagaytay Road corner Nuvali Blvd. Sta. Rosa City, Laguna. They are open from 11 AM – 10 PM. Their first branch is located at 256 A. Aguirre Avenue BF Homes, Parañaque. The establishment can be contacted at (02) 820 5888. Mmm I could go for a good paella! That sounds like a tasty grand opening! This looks like a fun grand opening! I’m always eager to try new foods. My family would love this place–they love seafood. I’m not as much of a fan. Now this sounds like an interesting place to go and get a meal I am loving the look of the seafood paella I could definitely try that. Wow this looks like it was a great grand opening. I would love to check out Bless Las Paellas. The food looks delicious. I love food and tried quite a variety of other culture’s foods. Surprisingly, I had not tried any Spanish food yet. I woud definitely love to try this one. I think Paella Valenciana will be my favorite dish also. I tried something similar, but this dish looks delicious! A real fan of seafoods. Would love to visit this place and try their paella. The food really looks delicious. With that amazing food I can imagine it was a successful grand opening. I also love seafood, Spanish and Filipino foods. This opening sounds like a roaring success. You can never go wrong with churros and sangria. This seemed to be quite the event! It looks like a lovely opening, I like that they provided a fashion show and of course the cutting of a ribbon. This place looks really lovely.